The New York Real Estate Journal (NYREJ) will be hosting its first cannabis-focused summit, the “Cannabis in Commercial Real Estate Summit NYC” on May 4 in the Big Apple. The event will offer real estate entrepreneurs a chance to learn about the emerging cannabis commercial real estate market. Here’s the funny part: It’s being held at Trump SoHo, one of the Trump family’s premier properties. The fact that the cannabis real estate summit is being held at a Trump building may come as a surprise, as the leading voice on cannabis issues within the Trump administration, Attorney General Jeff Sessions, has been outspoken in his opposition to cannabis legalization. Trump himself, and the administration as a whole, have sent vague and conflicting messages about cannabis. A Trump property hosting a cannabis conference wouldn’t be such a big thing if the president had distanced himself from his business interests while in office. Instead, Trump has woven his hotel brands into his presidency, spending more time in Trump buildings than the White House. His exclusive Florida club, Mar-a-Lago, has become the weekend West Wing. 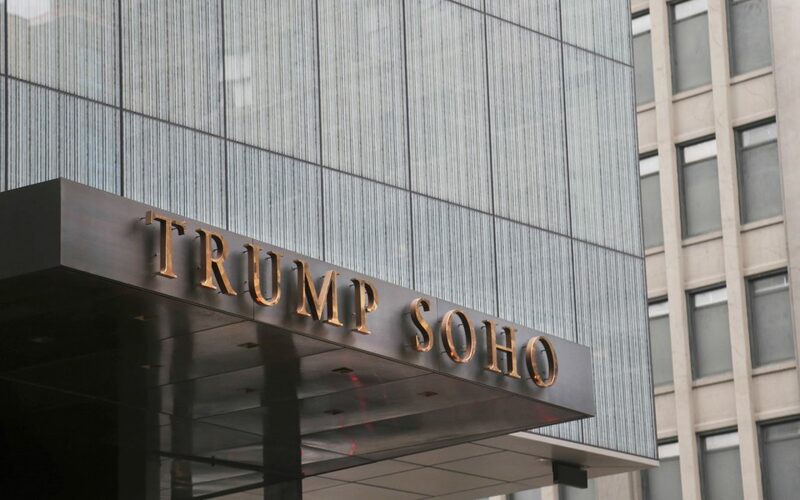 So whether intended or not, the fact that a Trump-branded hotel is hosting a cannabis conference—well, it has at least symbolic significance. The NYREJ, a sister company of the New England Real Estate Journal, is the largest commercial real estate media company in the world. It cover six Northeastern states and has been in business since 1963. Ag-Tech company AmeriCann Inc. (OTCQX: ACAN) which is developing sustainable, state-of-the-art medicinal cannabis cultivation properties, will be the title presenter at the event. AmeriCann’s president and CEO, Tim Keogh, will be a panelist and will meet one-on-one with attendees and investors interesting in participating in the cannabis industry as well as discussing the company and the Massachusetts Medical Cannabis Center, per the company’s news release. During the conference, Keogh will likely discuss the planned Massachusetts Medical Cannabis Center (MMCC), a 53-acre property in Massachusetts that AmeriCann is developing. The MMCC is expected to be one of the largest and most technologically advanced cannabis cultivation facilities in the nation. An interesting side note to the MMCC: Guess who AmeriCann acquired the 53-acre property from in Massachusetts? None other than the Boston Beer Company, aka Samuel Adams, for $4,475,000 in cold hard cash. Last year the Boston Beer Company opposed the measure to legalize adult-use cannabis in its home state, and donated to the campaign to defeat it. Whether adult-use cannabis affects sales of Sam Adams Boston Lager has yet to be determined. But in the near-term, legalization has at least given the beer company’s overall bottom line.